Looking to further my education and really get my hands dirty in the world of marketing, I recently starting research grad schools in my area. After about 30 minutes of browsing some local universities, however, I quickly realized I’d have to start selling my blood to have any chance of affording a graduate degree. (I’m AB negative, btw, if you’re ever in the market.) While researching, I came across a study from the Center for American Progress, published in the Washington Post. 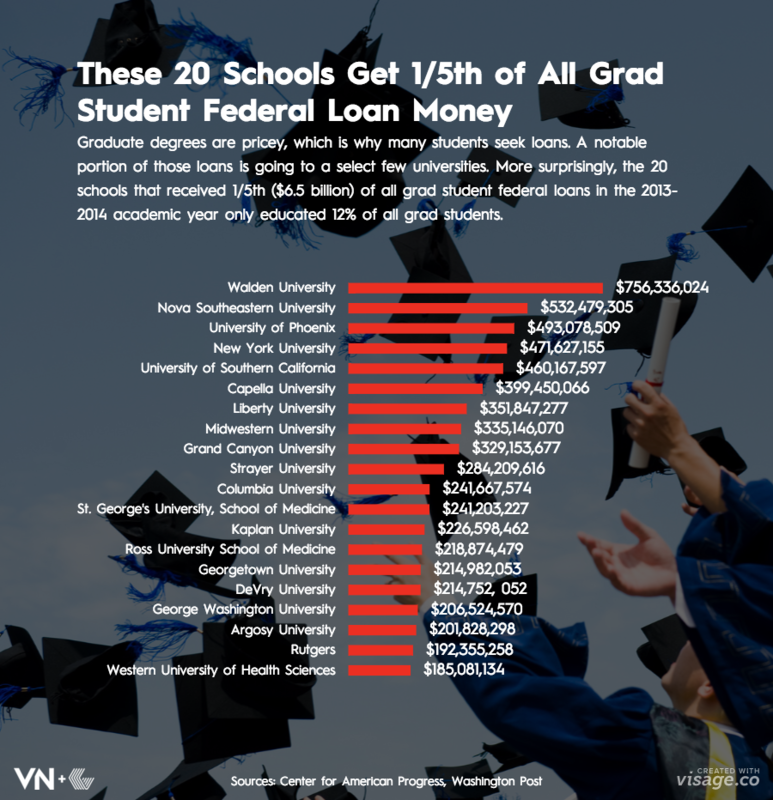 The study found one-fifth, or $6.5 billion, of the total amount of government loans to graduate students in the 2013–2014 academic year went to 20 universities, although those schools only educate 12% of all graduate students.